Last Sunday night, while trying convince my mind it was alright to shut down and sleep, I came up with a plan to satisfy several problems that have cropped up. Amber has been feeling like she isn't doing any "projects". Our science curriculum hasn't had a lot of labs lately, and we again pushed art projects to the side. Then, there is the million projects that I NEED to do, but can't find the time to complete. Top it off that we both have been feeling quite stressed the last couple of weeks. So, during my insomnia haze, the decision was made to change our schedule up a bit for the next 2 weeks. We are still having some regular subjects in the morning each day, but after lunch it is all about the projects. I would have cut down our subjects even more, but Amber felt like she was skipping school. I did try to remind her of the weeks at her old schools where they did very little academic work and had a lot of projects, but she still fretted about our plan. 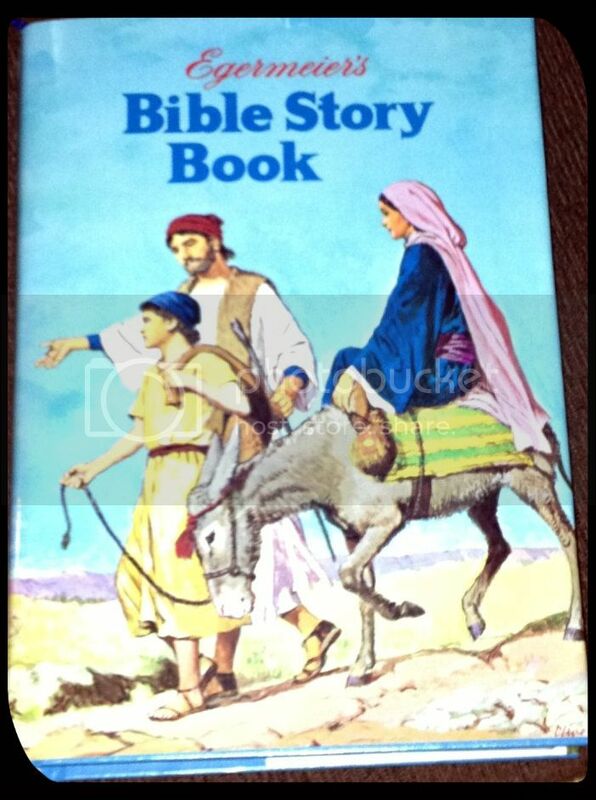 Religion - We used Egermeier's Bible Story Book this week, instead of our normal curriculum. Math - same ole, including a test. Social Studies / History - She completed her study of the early 20th century inventions, read supplemental books on many of the inventions, and took her test. Literature - Finished King Arthur and the Knights of the Round Table. She absolutely LOVED these stories, so we are continuing next week with additional King Arthur stories and other related literature. Latin - 3 days, including a test. Creative Writing - Worked on plot outline for her novel. Science - Test on Monday, then a break for the rest of the week. The projects were very much a mix of what Amber wanted to do and what I needed to do. Not much was accomplished Monday afternoon, in the way of creativity because of Amber's mid-afternoon Chimes choir practice. We did manage to try on more of Amber's mountains of clothes and find out there is only a small hill left that fit. 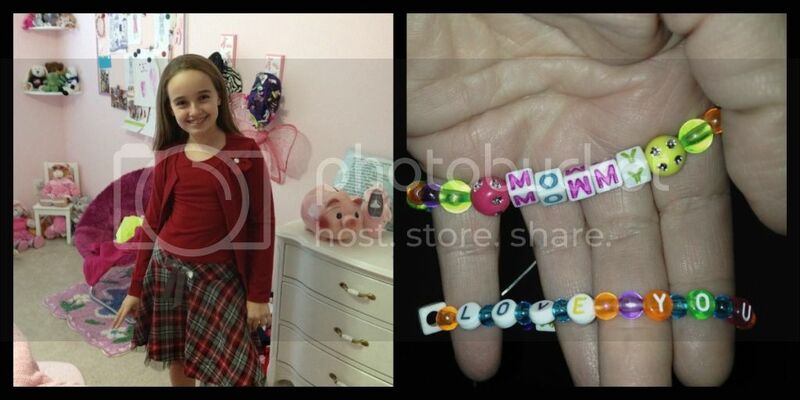 Monday evening, though, we spent a while making bead bracelets together from a kit she received for her birthday. Amber even made one for Grandma. Bracelets Amber made for me. We know one letter in "Mommy" is upside down. It is a joke from Amber's younger days. Tuesday we worked outside in the crisp fall breeze creating a stepping stone mosaic for Amber to give my mother for Christmas. Actually, Amber did the creating and I did the mixing and pouring (and cleaning up). 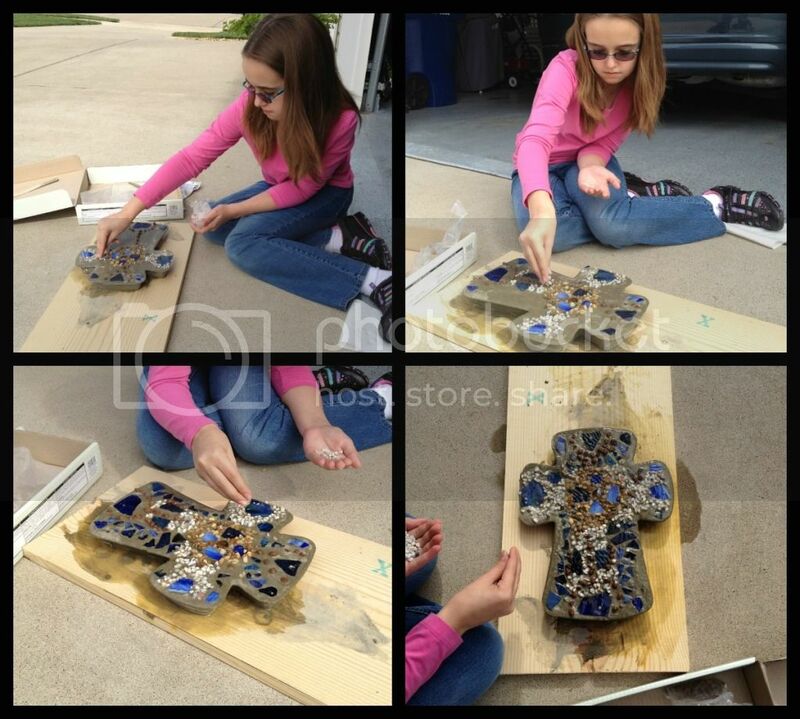 Amber loves mosaic projects because she never feels like there is a "wrong" pattern or design. It does a lot for her confidence to work with those projects. Amber also wandered about our yard collecting all kinds of Autumn treasures, including a bucket of acorns from the tree that we just realized last year was an Oak tree when it started producing tiny acorns. They aren't so tiny this year. The tree is a replacement the builder planted about a year after we moved in. One of our two front yard trees died almost immediately. We assumed the replacement was a White Ash, to match the other tree. But alas, we have an acorn producing Oak tree in our front yard. So, not what I wanted except that Amber couldn't be happier with the situation, especially since she made the discovery last year. Working on her stone mosaic. Finished product is STILL drying in the garage. The grand plans for Wednesday included painting all kinds of acorn people, and creating a little acorn people village. Amber found and appropriated many unique items to use in the village. Unfortunately, it rained Wednesday. Plans had to be altered, and Amber chose instead to work on a latch hook pillow project she picked out for her baby cousin's Christmas present. This worked will for me, because it gave me a few hours to sew on Amber's Halloween costume. This is going to sound bad, but Amber worked for HOURS on that latch hook while watching movie after movie. She normally doesn't watch that much TV, but lately she hasn't watched any, so I felt alright in letting her watch and latch hook. She started with Tangled, continued with the Pooh Heffalump Halloween (inspired by her Haycorn gathering from Tuesday), and finished with The Avengers. She is a very eclectic child. Thursday the weather was absolutely beautiful, and due to an attitude problem earlier in the morning, Amber lost her creative time for the afternoon. I personally finished quite a few small projects on Thursday. Enough said about that day, except that she did turn things around and managed pull out dance classes that evening. All we have to show from Thursday, is this pic I sent Fred. We were on our way to dance (finally) and stopped for a rare visit at McD. Little did we know that the apple dippers and fries had been drastically downsized.We normally both get small fries and apple dippers. 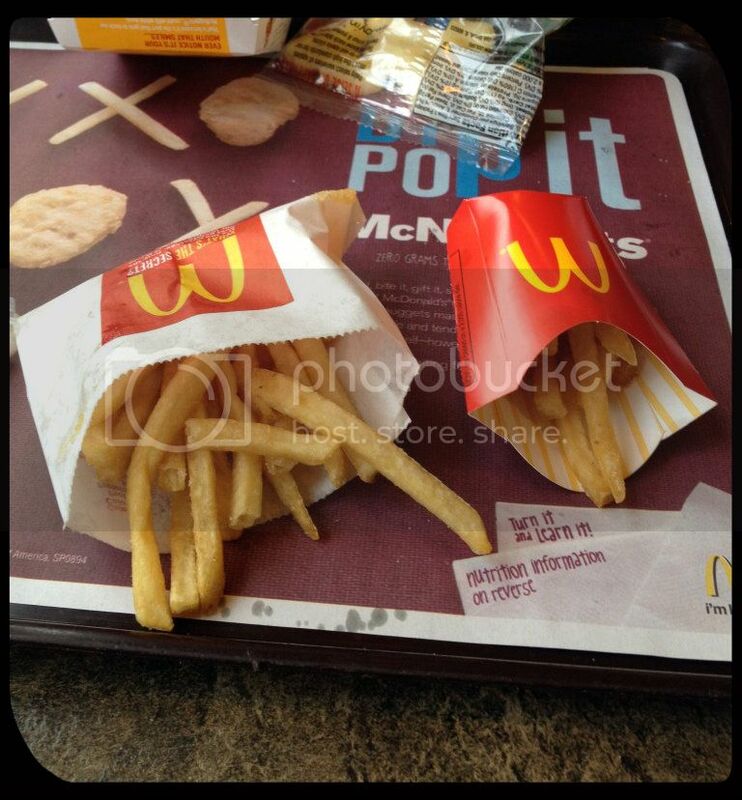 I got exactly 3 apple pieces and she got those tiny fries and 3 apple pieces. It was par for our day. Friday it was back to the rain again. For having been in a drought, we are pretty consistently having gloomy, rainy days on Fridays lately. Amber has sensory therapy on Friday mornings and she has noticed that it is always damp and cloudy during therapy. Today was no exception. This meant no acorn people again, either. However, we did have lunch with my Mom and spent some fun time with her. I don't know if it is terribly creative, but Amber also spent a couple of hours playing on Webkinz World today, putting together outfits for her bazillion critters. She still is enamored with Webkinz on an occasional basis, and I let it happen. She doesn't play on the computer much except to play Webkinz. Next week we plan to have a similar week, with slightly different academic subjects, and more projects for me. Amber will create her acorn people and village, and then choose other projects that do not require a lot of my input. I just HAVE to get some fairly large projects finished here at our house and at my mom's house. I do want to mention a find, or a re-discovery, from this week. In my desperation to lighten the academic load this week, I tore through Amber's bookshelves Monday morning looking for a Bible story book we could use during Religion lessons. I found her copy of Egermeier's Bible Story Book. This is the same book that I grew up listening to and reading. There is a new, updated version available on Amazon, but Amber and I both have the hardback 1969 copyright version that we received as children. Amber's was actually a baby shower gift to me and a very treasured gift as I so enjoyed this book as a child. Egermeier's Bible Story Book contains chronological summaries of Bible stories in language that children can understand, without making it overly simple. The artwork is wonderful, and brings back so many memories for me. When I think of many of the Bible stories I see this artwork in my head. The Bible stories included are not just all the major ones that you would expect, Adam & Eve, Jonah, Daniel, David & Goliath, Christ's birth, death and resurrection, etc. This is Amber's actual book. The one at Amazon, sadly, doesn't look like this anymore. Stories of Jeroboam, Asa, Ehud, Nicodemus, Dorcas, Stephen, Onesiumus (who I called the "mailman" when I was young) & Philemon are all there. It is a very thorough story book, with a Questions and Answers on the Stories section in the back. I can't believe that we completely let use of this book fall away in the last couple of years. It is one that we are actually going to incorporate back into our religion studies on a regular basis. That's the summary of our first project week. Hopefully, next week will be a little more organized and even more fun! Em and I finished that bible book this year. Dh and I read to her at night before bed, working our way through assorted bible storybooks and devotionals. My favorite bible reading has been a series of books from when I was a girl: http://www.amazon.com/Family-Bible-Library-Volume-1-10/dp/B000GHC6AO) We really enjoy the in-depth stories and questions after each one. I'm still following you in reader- I don't always get time to pop in and comment, but we definitely keep up with what you and Amber are up to! 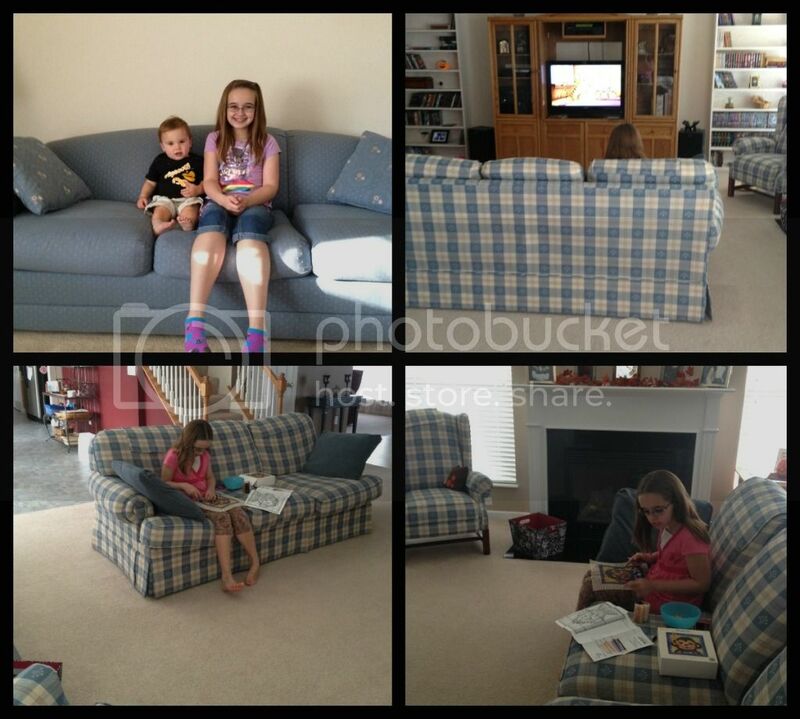 It's nice to see what goes on with another homeschool family with an only child. Dd enjoys nut and leaf gathering at Nana's and her project days too- fun to watch! The bracelets are very sweet. I hope your school year is going well. I haven't seen an update from you recently, but if you are as busy as me it can be hard to do. The mosaic is a stepping stone kit from Michael's. We have done a couple before, and found this one on clearance in the Spring. We were not timely on getting it finished. The acorn people that Amber can't wait to make are inspired by a project I saw on your blog. After collecting all the acorns, she needed something to do with them and I remembered Keilee's project. Thanks so much for the idea! Thanks for linking up at Favorite Resources. Isn't it great to be able to share favorite books from our childhood with our kids?! I am also an unexpected (sometimes reluctant) homeschool mom. We brought our children home for school after 5 years in the public school so that we could offer them a Lutheran (LCMS too) education. I have a 6th, 3rd, and 1st grader this year. So nice to find other LCMS home-educators. It looks like your daughter is doing very well. Good job Mom! Thanks :-). Good luck to you. I'm in awe of people who homeschool more than one child. If I may ask, do you have a religion subject and what curriculum do you use? I had a really hard time finding something we liked from LCMS. Having always gone to LCMS schools we had a good idea what the religion curriculum was like. I'm actually using a WELS curriculum this year, and I still feel guilty about that. Glad to hear from another LCMS homeschooler. This year we are using Voyages. I used it in a classroom a few years ago and we happened upon the 3rd and 6th grade books for free, so that is what we have right now. My younger two used the new One in Christ day school curriculum from CPH last year (I wrote some of the lessons for it, so I am biased, but I really did enjoy it) and we will probably move back to that next year. The new curriculum is not as easy to use without a Teacher's Guide though, so...I don't know exactly what we will decide upon for sure. I haven't seen the WELS curriculum, but I would imagine that it would be an effective tool in teaching about Bible truths and sacraments. Amber has used Voyages, but it appears to be old curriculum that is hard to find. She also used Jesus Company, same story. Both of those we thought were okay. Amber attended two different Lutheran schools and, to be honest, the first school never completed even half of their religion workbooks. Amber's second school switched to One in Christ last year, and when we withdrew Amber from school we were able to keep her workbook. It was fairly difficult to use the workbook without the teacher's guide. That's how I knew I didn't want to try it again this year. There were a lot of times that we just didn't get what they were going for in the questions. I'm not sure what I'd really think of One in Christ if I had the teacher's guide and understood it a little better. Unfortunately, One in Christ is also cost prohibitive to purchase the teacher's package. I looked into it, but just couldn't see paying that price. So, I had to look outside of CPH. Amber is using the WELS pre-confirmation curriculum, but I do change the memory work on Luther's explanation of various items to use the current LCMS wording.